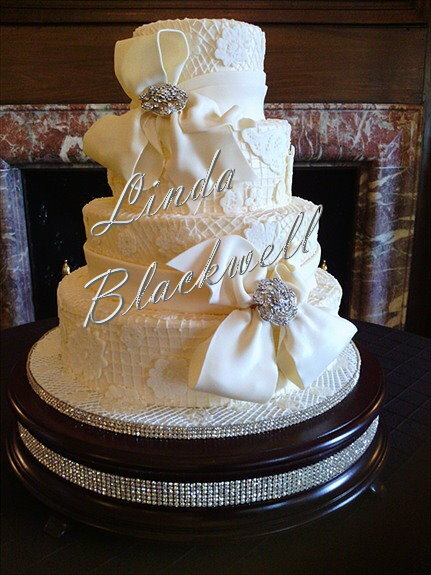 One of the Lowcountry’s leading cake designers, Linda has the reputation of her cakes tasting as good as they look! Please take a few minutes to browse through our website for a portfolio of our work, testimonials and information. Designing Appointments should be made early to assure availability. One word - WOW!!! your cake was everything I thought it would be - a moist, sweet, delicious HIT! It took everything I had to actually freeze, and not eat, the top tier. As you can imagine, the cake (and some sand was devoured! I will send pictures when we get them developed. Thank you so much for the Beautiful cake. It was just how I pictured it. We got lots of compliments. Also, the picture of the mustang on the groom’s cake was a huge success, They both tasted great! I knew from our first meeting that I had made a great choice with you.